The nightmares were getting worse, plaguing her more and more over the last six months. Images, sharp and vivid as a recent memory, invaded her dreams until the lines of reality melted together. Falling back into the fairy tale world, they find the situation more dire than the way they left it. Jack has disappeared, and he’s not the only one. Elorium’s citizens are near panic as characters are missing and rumors are spreading about massive creatures roaming the sky. A rising darkness is enslaving the dreamers, and in a land filled with water nymphs and malevolent mazes, it’s hard to find any allies. If you’re a fan of Beauty and the Beast you’ll recognize that line from the opening song. It’s the line that kept playing in my head while reading The Grimm Tales series by Janna Jennings. 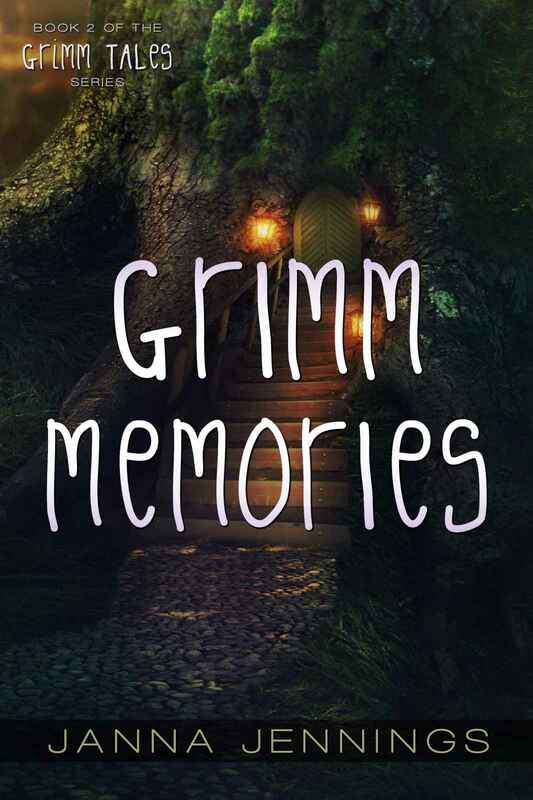 Grimm Memories, the sequel to A Grimm Legacy, picks up six months after Andi and her friends escape Elorium. The group devises a plan to return to the fairy-tale world after Andi and Dylan begin having strange nightmares. Frederick is determined to rescue his grandfather, Jack, who they were forced to leave behind during their escape. But when the teenagers return to Elorium, they find things a lot stranger than they had left them. Our four heroes and heroines have changed a bit since we last saw them, although their distinct personalities remain intact. Frederick, Andi, and Quinn are still stubborn in their own ways, but they return to Elorium prepared to fight, both physically and mentally. Dylan, in an appropriate fashion, didn’t even bother to brush up on his knowledge of fairy-tales before deciding to come back to Elorium, something that Quinn hilariously calls him out on more than once. While our group of fairy-tale descendants are back and better than ever, the world of Elorium has changed for the worse. Houses have been destroyed and left destitute and many Elorians have mysteriously disappeared. Grimm Memories is a lot darker than A Grimm Legacy. The nightmares that Dylan and Andi suffer through every night are haunting, and the new creatures and story book characters the group encounters during their second visit to Elorium are more dangerous and unfriendly than before. This added so much suspense which I thoroughly enjoyed. There are several scenes in this novel where Andi and her friends’ lives are in peril and often people were gravely injured. Suffice it to say that the suspense was killing me during several of the more intense chapters! Also…once again, I adored this book cover! So pretty! As much as I enjoyed the first Grimm Tales book, I liked the second one ever more! There was more action, more mystery & suspense, and more adventures with the characters I’ve come to love. Grimm Memories deals with sacrifice, love, and friendship, and it is full of surprises in every chapter! If you like reading stories that can make you laugh, swoon, and bite your nails, this book is for you!